Construction engineering company KEC International Ltd. appoints Somraj Samin Roy to lead its HR function as its previous Head of HR Vasudevan Narasimha quits. 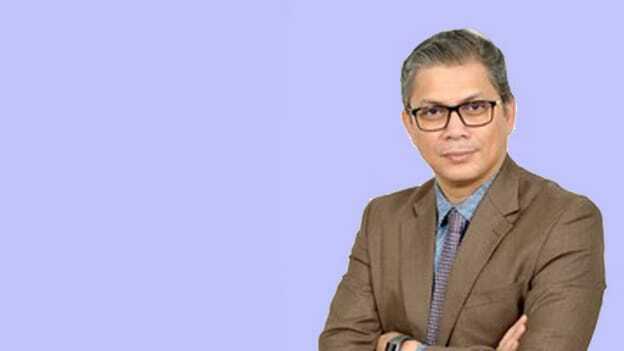 Somraj Samin Roy, an HR professional with about 25 years of experience has become the CHRO of KEC International Limited, the flagship company of RPG Enterprises. The appointment happened after Executive Director Human Resources, Vasudevan Narasimha stepped down from his position after working for the company for about 4.5 years. While Vasudevan has moved on from the organization to pursue his passion in HR Advisory and has become the Managing Partner at Thrush Blubirdz Advisory LLP, Somraj now has the responsibility of leading KEC’s people agenda in its next phase of growth. As Vimal Kejriwal, MD & CEO at KEC International Ltd shared that KEC’s focus will now be to develop and strengthen people capabilities suitable for all their businesses, to ensure sustained growth in the coming years, the new CHRO has a lot of responsibilities on his shoulders. Taking the responsibility of leading the talent practices at KEC with a new approach, Somraj shared with People Matters that how he looks forward to working on building Capability Framework Development plans, which will go a long way in sharpening our focus on Succession Planning, while continuing to work on institutionalizing the ‘on-going’ People Practices. “We plan to pursue the talent agenda through our 3-pronged focused approach of Sourcing, Building, and Integrating. Sourcing of the right talent (internally first, complemented with external hires), Building of capabilities through contemporary interventions (dedicated talent pipelines, interactive learning mediums, bespoke interventions such as Young Executive Board, etc.) and Integrating talent culturally (into the RPG Way of life, Vision, Values) will be our concertedly path going forward,” Somraj told People Matters. Before joining KEC, Somraj has worked with companies like Larsen & Toubro and Reliance and has a strong experience in areas like Talent Management and Capability Development. With years of experience and his skills how he helps KEC to strategically transform and prepare its current and potential talent for growth is to look forward to. While KEC is one of the largest manufacturers of electric power transmission towers in India and one of the largest Power Transmission Engineering, Procurement & Construction companies in the world, it competes with other big names like General Electric (GE) Energy, ABB (Asea Brown Boveri) and Alstom, among others.